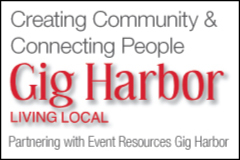 Brought to you by Humanities Washington, Humanities in the Harbor will continue in November as we welcome Don Glickstein to the Harbor History Museum. Humanities Washington sparks conversation and critical thinking using story as a catalyst, nurturing thoughtful and engaged communities across our state. 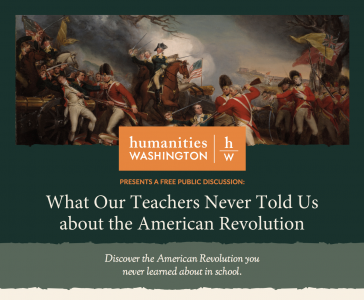 Discover the American Revolution you never learned about in school. Why did Native Americans and African Americans support the British? How did a Muslim general come to fight the British with a French ally named Admiral “Satan”? Why did the fighting spread around the world, from Hudson Bay to South America, India to Africa, Arkansas to Gibraltar? Author Don Glickstein explores rarely heard perspectives on the war in his illustrated talk, and links aspects of the war to our home state of Washington. Hear stories from the war, discover the reasons the Revolution matters to us today, and learn why the study of history can help us understand the 21st century’s war on terrorism. Born in upstate New York, Don Glickstein was raised with the American Revolution around him. He visited places like the Saratoga battlefield and Fort Johnson, watched “Johnny Tremain” on television, read James Fenimore Cooper, and spent summers in Boston surrounded by history. He attended the University of Massachusetts and spent a decade as a journalist in Delaware, Massachusetts, New York, and finally at the Seattle Post-Intelligencer, and won awards for consumer and investigative reporting. He was campaign press secretary for Governor Booth Gardner, then communications manager for Group Health. He has written history articles for many online and print publications. His first book, After Yorktown, describes how fighting during Revolution spread worldwide, from India to South America. Admission is free, but seats are limited. RSVPs and questions may be directed to Zachary Sokolik, Marketing & Events Coordinator at Harbor History Museum at marketing@harborhistorymuseum.org.